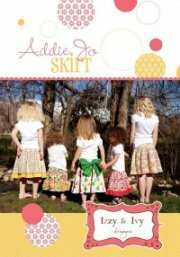 This skirt pattern is so cute and really fun to make. 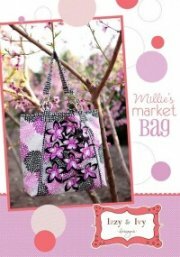 It can be made for any occasion depending on the fabric you use. I love the pom pom trim along the hem lines. So fun. Any little girl would love to have this as part of her wardrobe. 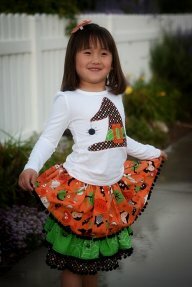 What do you think about this Halloween Skirt Pattern? A little bit about myself. I have been sewing off and on for the last 21 years. 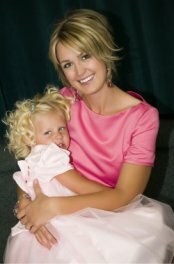 I really started sewing on a regular basis when I had my first little girl. I had so much fun creating fun things for her to wear. I haven't stopped since. My mother taught me how to sew and I will be forever grateful to her for passing on such a fun skill. Izzy and Ivy Designs. I soon became the sample maker of all the children's clothing and bags for her shop. Soon after I was asked to be a part of Izzy and Ivy Designs. I LOVE working with Shasta and Jana. 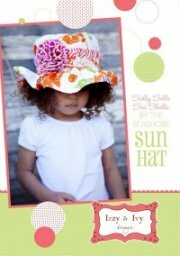 One of my most favorite patterns that I have designed is our Jack and Jill hat. Having 2 girls and a little boy it is so fun having a pattern I can use for all of them. When I am not sewing I enjoy playing with my kids and reading. Do you like Lauralee's designs?